Everyone probably has a certain view on the future of Amsterdam; will we be ‘driving’ flying cars, have telephones built into our heads or will it be similar to today’s Amsterdam? No one knows… And that’s exactly why Nuit Blanche is interested in your dreams for the future of our city. 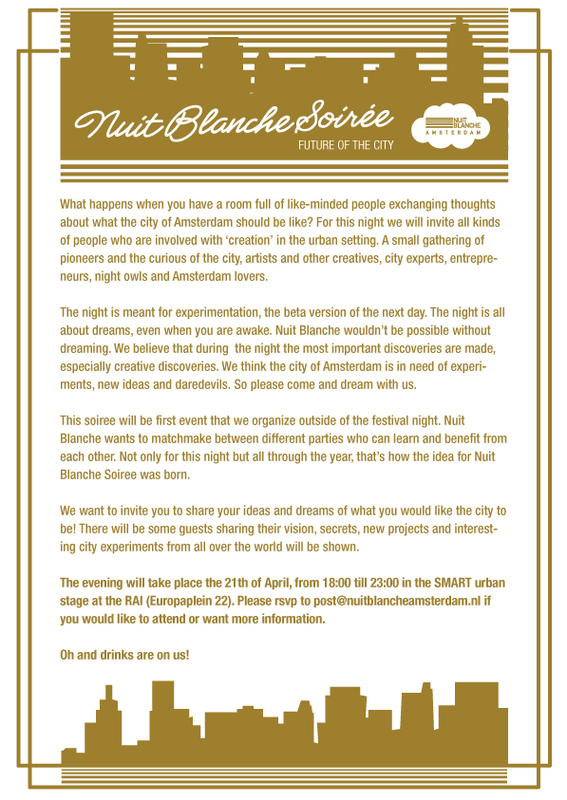 Everyone is more than welcome to attend the Nuit Blanche Soiree, an evening to brainstorm, network, help each other and hopefully walk away with a clear future image of Amsterdam. 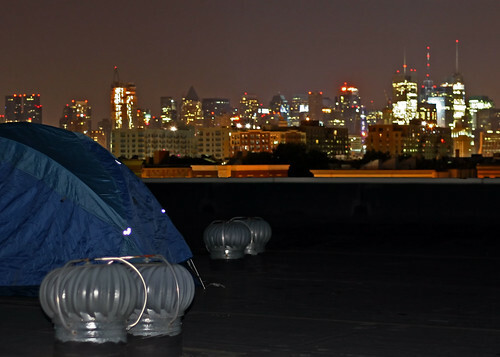 WHAT IS THE MOST FUN YOU EVER HAD IN THE CITY? WHAT ARE YOUR 4 FAVOURITE SPOTS IN THE CITY AT THE MOMENT? IF YOU WERE MAYOR, WHAT WOULD BE THE FIRST THING YOU WOULD DO? WHAT WOULD BE YOUR DREAM PROJECT FOR THE CITY? PLEASE ENCLOSE 5 IMAGES OF THINGS YOU WOULD LIKE TO SEE MORE OF IN AMSTERDAM? For this edition, three guest speakers will present some new and inspiring projects. These speakers are Isis van der Wel (telling about a new festival location in Zeeburg), Miktor en Molf (elaborating on their pool project in Amsterdam North) and Jesse, Jorg and Dirk Overduin (talking about their ‘urban rooftop camping’). The event is organized by Nuit Blanche, one of our media partners, and we will therefore be involved during this night! Overdose.am will be there to tell about our cultural platform and to exchange our views about the future of Amsterdam with you. Please RSVP to post@nuitblancheamsterdam.nl and you’ll be put on the guestlist! Nuit Blanche walk-through: warming up, video teasers and free tickets!